I want to tell you about a new book that is geared to offer both inspiration and hope to many people all over the world. It is the third book from award winning author, Pedro Okoro, that stays consistent to the fantastic faith-filled messages he so eloquently shares for the benefit of all mankind. Thoughts of a better future and countless encouragement abound within the pages. Pedro’s book offers just the right amount of actionable suggestions to make you desire to get out there and live “Your Best Life Ever”! But first, what happened to your life? Your real life! The one you were created to live. Remember that life? The life you used to dream about. Remember those dreams? You probably still dream about it today! Take a moment to think back and reflect on the things you were going to do. And the person you longed to be. The promise of a healthy, wealthy, joyful life, full to overflowing with wonderful things. Put your life back on track to where you should be? Discover and fulfil your purpose? Well, the good news is, you can! In Your Best Life Ever, Pastor Pedro Okoro challenges you to believe that you can achieve whatever you set your mind to, because impossible is nothing. Through personal experience, compelling stories and authoritative quotes, he provides 7 well-founded, practical, bite-sized nuggets which will inspire you to ENJOY everyday life and LIVE your best life, today...right NOW! Well supporters, what are you waiting for? Get this new book today and start enjoying everyday life. I am hosting Thanksgiving this year and I am expecting a handful of preschoolers. As you can probably guess, it can be hard to entertain preschoolers. So I decided to go on a search for some really great Thanksgiving books for preschoolers. Below are my top picks. Five Silly Turkeys - This is a great Thanksgiving book for preschoolers because it reminds them of no more monkeys jumping on the bed. Preschoolers will also love the crinkly fabric feathers on the cover. Thanksgiving Is for Giving Thanks - is a short and sweet little book that is perfect for young children who don't quite understand the point of Thanksgiving. This book does not mention pilgrims/early settlers, etc so would not be offensive to those who do not celebrate that particular aspect of the holiday. Instead this book emphasizes giving thanks for big and small things in life. A Charlie Brown Thanksgiving: With Audio Recording - In this beloved classic for the whole family, Charlie Brown has to prepare an entire Thanksgiving meal before time runs out! Turkey Trouble - this book is great for introducing Thanksgiving by talking with the children about their favorite foods, especially holiday food. The First Thanksgiving: A Lift-the-Flap Book - This is a great first Thanksgiving book for toddlers. It tells the basics of the Thanksgiving story; pilgrims, Native Americans, and the fest with a lift-the-flip on each page. Happy Thanksgiving, Curious George - Who doesn't love Curious George. In this book, Curious George explains to kids what happens on thanksgiving. 10 Fat Turkeys - Gobble Gobble Wibble Wobble makes this a book that gets will get a kick out of. In addition, parents will love it because it teaches children how to count backwards. Pete the Cat: The First Thanksgiving - Pete the Cat celebrates Thanksgiving in this groovy new lift-the-flap book! If you have a child that loves Pete the Cat, he or she will love this book. It has fifteen flaps that open to reveal hidden surprises. The Thanksgiving Story - This one is longer than most but is still a great Thanksgiving book for preschoolers. Due to the length, I recommend it as a bedtime story stretched out over several days. The Berenstain Bears Thanksgiving Blessings - The Berenstain Bears are a classic among books for preschool. Not only does this book teach about being thankful but it also teaches how to adjust when things are not as you would expect. The Night Before Thanksgiving - With the familiar syntax of Clement Moore's "'Twas the Night before Christmas", this story combines the hectic pace of preparation with all the familiar elements of the big day. From cooking to relatives to football to the parades. What you you add to this list of Thanksgiving books for preschoolers. Well that is all for now supporters. Please pray for me and know I am praying for you. Teaching Christ’s Children about Godly Feelings is for parents, teachers, and professionals who often wonder how to react to the variety of emotions expressed by children. Godly Feelings is designed to stimulate discussion and interaction between children and the adults who care for them. Godly Feeling will take you and your child through 11 feelings including: Happy, Sad, Angry, Discouraged, Afraid and others. Like all of my books, Godly Feelings is packed with scripture. Therefore, Godly Feelings will not only help children identify and express their feelings God’s way, but it will also teaches children that all feelings are OK because God gave each feeling to them. So now the moment you have been waiting for… Drum roll please…. Use coupon code "GODLYFEELINGS" for free shipping. To pre-order the kindle version of Godly Feelings for only $3.99 visit Amazon. Weather you order the physical or kindle version, you will receive a free PDF version of The Godly Feelings Card Game. This card game helps children talk about 13 different emotions (the 11 feelings presented in the picture book, plus bored and content) and reinforces what the Bible says about each feeling. These cards can be used in a variety of ways including playing classic card games like war or Old Maid. Things are moving along with my next book - Godly Feelings. I am finalizing the layout before I start taking preorders. I have a few last minute decisions to make, including which of the below pages to use in the book. This is where I need your help. If you have a moment can you tell me which of the below pages do you like the best. P.S., Thank you for your help with picking a cover, I am planning on revealing it in my next post. If you haven’t yet, there is still time to help me name several of the characters in my book. Just visit this post here: http://www.booksbycorine.com/blog/help-me-name-my-characters. You can click each picture to make them bigger. I'm so excited about the release of my new book, Teaching Christ's Children About Godly Feelings, and I need your help to spread the word! I'm forming a Teaching Christ's Children About Godly Feelings Launch Team, and I would love for you to join me. A chance to compete for awesome prizes! We have more exciting surprises to announce, but we'll save those for later! We will only be accepting applications for a short period of time, so Teaching Christ's Children About Godly Feelings Launch Team by completing the from below. The application process will close on 9/27/2016 at midnight CDT. Have you checked out the Educents Back-to-School Giveaways yet? Now through August, don't miss your chance to enter to win over $15,000 in prizes like talking stuffed animals, full-year curricula for all ages, a $250 shopping spree and MORE! Bible Stories 5 DVD Boxset from See the Light Shine (99.99 value) - is a creative and interactive program for teaching art and the Bible at the same time. The mCookie 101 Basic Kit from Microduino ($99 value!) -Microduino a known player in the maker community, their mCookies allow anyone who has an interest in electronic DIY projects to easily join the fun and bring projects to life. Fun-Schooling Books From The Thinking Tree ($165 value!) -Flip to Fun-Schooling! 3 Do-It-Yourself Homeschooling Journals, 1 Spelling Journal, 1 Homeschooling Handbook for Moms, Timeline, Art History & 2 Bible-Time Activity Books. $250 Shopping Spree on Educents - Win $250 in Educents credit to shop thousands of educational resources that you can trust for your child's education! Comment below to let me know which ones you hope to win! I received so bad news from Amazon this week. They contacted me to let me know that my Christian Adult Coloring Book: Seeking His Peace will no longer be available in their Kindle store. Apparently they have changed their policy since I published the book and no longer allow coloring books. In stead they suggested I publish the book as a physical book. while I was initially disappointed with this news, I decided to offer Seeking His Peace free until I publish it as a physical book. About the book: Everyone goes through some hard times in life. Seeking His Peace Coloring Book was created for those times in life when you need to focus on God’s promise to give you peace. Seeking His Peace Coloring Book contains 40 (20 with Bible verses and 20 with a blank space which allows you to add a Bible verse or your own thoughts) unique picture pattern coloring pages that are designed to help you relax while reflecting on God’s promises to give you peace. Unlike many adult coloring books that encourage you to empty Your mind, Seeking His Peace provides you with scripture after scripture to fill you a peace that comes only from seeking God. By submitting, you understand that you may receive email communications from Books By Corine and that you may unsubscribe at any time. Sorry it has been so long since I last posted. However, I have been hard at work finishing up my next picture book. An idea came to me that I am super excited about. One of the things children love about my books is seeing all the different names of the characters. So I decided to allow you and/or your child to take part in naming the characters in my next book. There are 11 characters. I have already picked out 2 character names. That leaves 9 characters that need a name. Entering a name is super easy, just fill out the form below. If you want to name multiple characters, just fill out the form multiple times. BOOK GIVEAWAY! Can you GUESS the names of the 2 characters I have already named? Want to submit a name for a character in my next book? *Guess right and win a free copy of the book. Don’t know how many of you have noticed but I am continuing to explore other ways to “share Jesus one book at a time.” Since starting my publishing journey I have published picture books, coloring books and journals. As we enter Holy Week, I decided to create a unique journal/coloring book that I am praying will draw you closer to the Cross. Each sheet was created using an image of a cross that I transformed into a mandala type coloring sheet. After looking at how I was able to take a simple image of a cross and transfer them into several beautiful mandala designs, I decided to pair each mandala with a Bible verse that reminds me of the transforming power of the cross. So please join me this Easter season (or anytime) in reflecting on the transferring power of the cross. There are a total of seven journal sheets which makes them perfect for Holy Week or any time of year. Truthfully, I am planning on using this journal the week after Easter. As you know, I believe that every parent should homeschool their children. Whether you homeschool exculsively or homeschool as a supliment to public edcuation. One question I often get asked is "how do I homeschool for subject that are difficult for me?" Usually when people ask me this question, they are referring to science, techology, enginnering or math. There answer to this question is to purchase a curriculum. One of the best science curriculum for homeschoolers is the Magic School Bus. Now you can order a Magic School Bus Kit no matter where you live in the world. Are you looking to add fun, scientific projects to your curriculum? Look no further than your favorite crew of curious adventurers - The Magic School Bus. Magic School Bus Science Club is a monthly subscription service that delivers science experiments for your kids to enjoy. Also, I just heard some VERY exciting news. For the first time ever, Educents is offering to ship these science kits to kids WORLDWIDE!! A subscription to the Magic School Bus Science Club is a great way to offer children a hands-on science lesson. The experiments included are perfect for children ages 5 to 10, but really, any science-oriented kids will get a blast out of the kit. What are people saying about the Magic School Bus Science Club? Parents and teachers are constantly talking about the Magic School Bus Science Club. Jamerrill from Free Homeschool Deals shared a blog post of her kids have a blast with the science kits. Jamerrill says she could "open up a science kit, turn to a lesson page, and jump right into that hand-ons activity. It helps me feel like a 'fun mom' because we’re doing a science activity, and I didn’t have the stress or mess of pulling it all together." Kids will get so excited when each kit arrives to their door each month. I found this awesome video review by Eric Poor showing off a couple of human body experiments from the Magic School Bus subscription. Look at his face light up with a HUGE smile each time he does an experiment!! "I was not expecting it to be this good." - Amber W.
" I was really impressed by the hands-on approach of learning, and then having it explained so that a child would understand it. I would highly recommend this!" - Kelly L.
"I feel this is perfect as a hands-on activity to supplement the worksheets we download from other sellers." - Sasha B. The Magic School Bus Science Science Kits are available on Educents for a great price. For the first time ever, Educents is offering to ship these kits internationally! The kits are finally available to learners around the world - Australia, Asia, Europe - you name the place and Ms. Frizzle will be there with a science adventure for your child. As you know supporters, my goal is to share Jesus one book at a time. I do this by not only writing books but also helping you find great Christian books. Today I want to share with you just such a book: Jesus Today Devotions for Kids. ​Jesus Today Devotions for Kids is the new book by Sarah Young and Tama Fortner. This book is about Jesus and His amazing love for you. Jesus Today Devotions for Kids contains 150 devotions that are perfect for children about seven to ten years old. Each devotion is set up in a two page spread. The first page is the actual devotion and the next paged includes several Bible verses for children to think upon. The devotionals are based on the Bible and are written as if Jesus is speaking directly to the reader. Some of the devotions that are covered in this book include trusting God, the power of prayer, God is always with us, peace, second chances, God love never ends, self-control. I like the fact that the devotions are not dated, which means you can start this devotion at any time. (Note, there is an attached ribbon that you can use as a bookmark to keep track of your page). I noticed two other things about this book. 1) There are not pictures. This may be a little hard for younger children (i.e., children under the age of eight). However, since each devotion is only a page long, this book may also be the “perfect” transition to more “adult” devotions and Bibles. 2) There is an index of scripture in the back of the book which means this book can also be used as a references book. ​P.S. Be sure to enter to win a copy of this book below. Do I have a treat for you? As you know, I love find great children books, especially books written from a Christian perspective. Therefore, when I was offered the chance to read ​Angels in the Bible Storybook I happily said “yes,” even though I already reviewing a book about angels (See my review of God Gave Us Angles). Angels in the Bible Storybook had me hooked from the first story. Angels in the Bible Storybook opens with the story of creation. I was initially surprised to even see the story of creation in a book about angels in the Bible. As a Christian for over a decade or two, I have read and taught others the creation story. Due to my vast experience with the creation story, I was sure the Bible did not include them. To my surprise and delight, the author revealed angels were a part of the creation story and even backed it up with Scripture. Angels in the Bible Storybook is a wonderful book that I highly recommend. Why did an angel force a donkey off a road? Who did the angels get out of jail twice? And other fascinating information about angels. Be sure to pick up a copy of Angels in the Bible Storybook from Amazon or wherever Christian books are sold. The Plans I Have for You was written by Amy Parker and Illustrated by Vansessa Brantley-Newton. This book was written based on Jeremiah 29:11 “For I know the plans I have for you,” declares the Lord, “Plans to prosper you and not to harm you, plans to give you hope and a future.” In her interpretation of this verse, Ms. Parker focuses mainly on different careers that a child/person may have (i.e., a nurse, zoo keeper, entomologist, etc). There are interesting details in this book, such as an assembly line with a sign that reads “Incoming YOUR Orders: Nurse, Zookeeper, Entomologist.” The theme of God giving every child/person a purpose is continued throughout the book. I know Jeremiah 29:11 is a verse that give many adults comfort. . . I often recommend this verse when my clients are doubting their purpose in life. As a result, I would ordinarily recommend that every Christian household run and grab a copy of this book. However, this book does not deliver of the promise of conveying to children that God has a purpose for their life. This book is written in first person, as if God is writing it. However, the word God is never used. (Note; Jeremiah 29:11 is quoted in its entirety, which includes the word Lord in the inside book cover). So the child is never told, who has plans for them. If a parent is reading this book to their child, the way the book is written, the child could assume that their parent has great plans for them. There is even a picture of the Bible in this book; however, the book does not have the word Bible or a cross on it to actually convey it is a Bible. ​Disclaimer: I received this book from BookLook Bloggers for free in exchange for an honest review; all thoughts and opinions herein are that of my own. As you know I have been reading and studying what the Bible says about love in order to complete my sixth Bible based story book (What is Love: An Activity, Picture and Coloring Book). Then I met with a client who needed to be reminded of God’s love for her. Late Tuesday night, I decided to make her of personalized Bible verse cards for her. As I was making the personalized Bible verse cards, I kept singing a little song to myself, "Good, better, best. Never let it rest. Until your good is better and your better is best." In order to make the gift the best I could, I decided to incorporate the benefits of coloring into each card by designing a border that can be colored. ​6 Personalized Bible Verses to remind you of God's great love for you. In order to personalize the above verses, simply copy and paste the verses into a document and do a “Find and Replace” for the word “NAME.” Once done, open the blank Love Bible Verse Cards (Card one; Card two) in a photo editing software and add the verses. Print and you are done. If that is too much work, print the generic cards here: Generic Love Card. Each verse uses "me" or "you" instead of a personalized name. Or you can also fill out this form and I will do the find replace for you. Please note, due to my schedule it may take me a few days. Please enjoy and share this printable with your family, friends and associates. If you have a moment, I would love it if you send pictures of how you decided to use this printable. You can just submit them through the contact page or send via any of my social media channels. P.S. The cards can be printed on cardstock and sent through the mails as post cards to reminder others that God love them. ​P.S.S. The above printables have two blank cards for you to add your other Bible verses. What is your favorite Bible verse that reminds you of God’s great love for you? I would love it if you would share it with me in the comments below. While I think this cover is okay (i realize I still needed work on the fonts and parts of it was blurry, I was planning to fix all of that); it was just okay. In the publishing world, a cover is worth more than a $1000 (truthfully, I cannot saw the cover I was designing is worth a $1000). As I was praying and seeking feedback regarding the cover, God blessed me to win book cover designed by a professional: Dominique Wilkins. Dominique Wilkins is an independant author who has published over 25+ titles in the Urban Christian Fiction genre. She enjoys the creative process and enjoys working with others using the information that she has learned through trial and error as well as experience to assist other authors, entrepreneurs and people in general with seeing their visions materialize for less! With her prices starting at $10 and up and a turnaround time within 2 days, she hopes that everyone will take the opportunity to try her out! View her samples and Like her facebook page: www.facebook.com/DWsGraphics today! So now the moment you have been waiting for . . . below is the cover of my next book. What is Love is a Bible based story book, coloring book and activity book. 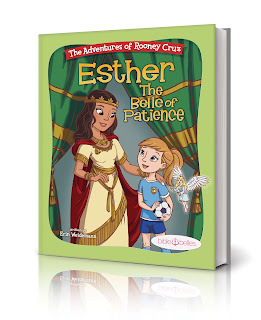 It is designed to help children understand what the Bible says about love. This book brings to life several well know Bible verses about love and reminds the reader of God’s love, to love each other, and love is an action. It includes a 28-page storybook that you can color. What better Valentine gift for your child that a picture-book that you color? In addition, there are over 25 activity pages/puzzle pages. ​What is Love is a Bible will release in about two weeks and will sell for only $5 plus shipping initially. To be notified of when the book is release just enter your name and email address below. Yes, please email me when What is Love: An Activity, Picture and Coloring book is released. It is January, that means winter break is over and time to refocus, start planning and get back to homeschooling. Only problem is, you many not feel like refocusing and planning. If that is you, I have the perfect solution for you. Educents, my top recommendation for all your educational needs, has put together an awesome bundle of resources perfect for this time of year. This bundle includes 28 different educational resources that includes common January themes (snow, winter, arctic animals, the Arctic, and more) along with January holidays (New Year's, Martin Luther King Jr. Day and Chinese New Year) into all of your main content areas. The resources in this bundle can be used with Language Arts, Math, Science and Social Studies. Best of all, it gets you a little bit more time to refocus and plan. Grab this bundle for only $29.99 by clicking here while you can and get your January off to a great start!!! I have an interesting book to tell you about but before I do, I must confess I am not a wrestling fan. However, most of my family loves wrestling. So when Family Christian Store approached me about reviewing Wrestling for My Life, I figure this was a perfect opportunity to discover what several members of my family loves so much. I was pleased to discover that Wresting for My Life was more about Shawn Michael’s salvation journey than wrestling. As a Christian, I love learning about what led Shawn to Christ; how he reconciled his faith with a career that does not uphold the basic Christian principles; and how like most Christian, there are times when Shawn is still wrestling with his faith. While I am not a wrestling fan, I also enjoyed learning how Shawn ultimately made peace with Bret Hart years after the Montreal Screwjob; as well as other juicy information such as the several little known facts regarding Shawn’s matches with the Undertaker at Wrestlemania 25 and 26. While I cannot say that this book turned me into wrestling newest superfan; I can say I have a new respect for wrestling. In fact, while reading this book I was invited on a family outing to a local wrestling event. Normally I would refuse to go or go "kicking and screaming." However, this time not only did I say yes with only a slight hesitation, I also enjoyed the show. Family Christian Stores sponsored this giveaway by providing me with a free copy of Wrestling for My Life. In addition, they are blessing one lucky reader with a copy of the book. This giveaway will end December 17, 2015 at 12:00 AM EST. The winner will have 48 hours to respond to my email. If no response, a new winner will be chosen. Open to residents of the US/CAN. Since I am a author, I want to highlight some small business authors. Please click the links below to show each author some love a support. If you are an author who has a small business, please feel free to leave a link to your book below. Please be sure to include the category because I am planning on updating this post periodically. All books should be family friendly.